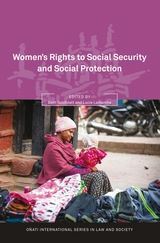 This collection examines the human rights to social security and social protection from a women's rights perspective. The contributors stress the need to address women's poverty and exclusion within a human rights framework that takes account of gender. The chapters unpack the rights to social security and protection and their relationship to human rights principles such as gender equality, participation and dignity. Alongside conceptual insights across the field of women's social security rights, the collection analyses recent developments in international law and in a range of national settings. It considers the ILO's Social Protection Floors Recommendation and the work of UN treaty bodies. It explores the different approaches to expansion of social protection in developing countries (China, Chile and Bolivia). It also discusses conditionality in cash transfer programmes, a central debate in social policy and development, through a gender lens. Contributors consider the position of poor women, particularly single mothers, in developed countries (Australia, Canada, the United States, Ireland and Spain) facing the damaging consequences of welfare cuts. The collection engages with shifts in global discourse on the role of social policy and the way in which ideas of crisis and austerity have been used to undermine rights with harsh impacts on women. 5. Social Protection in China: Is there a Gender Equality Problem? Security Mean for Sole Parents in Australia? 12. A Gendered Right to Social Security and Decent Work? Beth Goldblatt is Associate Professor in the Faculty of Law at the University of Technology, Sydney. Lucie Lamarche is Professor in the Faculty of Political Science and Law at the University of Quebec in Montreal.